By the hail which I seasoned with hot wasabi and heavy "sop soy sauce", please enjoy refreshing stimulation. It is bound with laver to be easy to eat. It is discussed the rights and wrongs of by tidbits of the liquor. 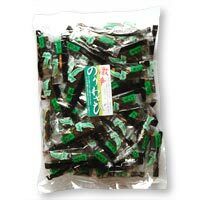 Glutinous rice, Soy sauce, Soy bean, Wheat, Laver, Sugar, Wasabi seasoning, Starch, Fermented seasoning, Seasoning, Contains amino acid etc.